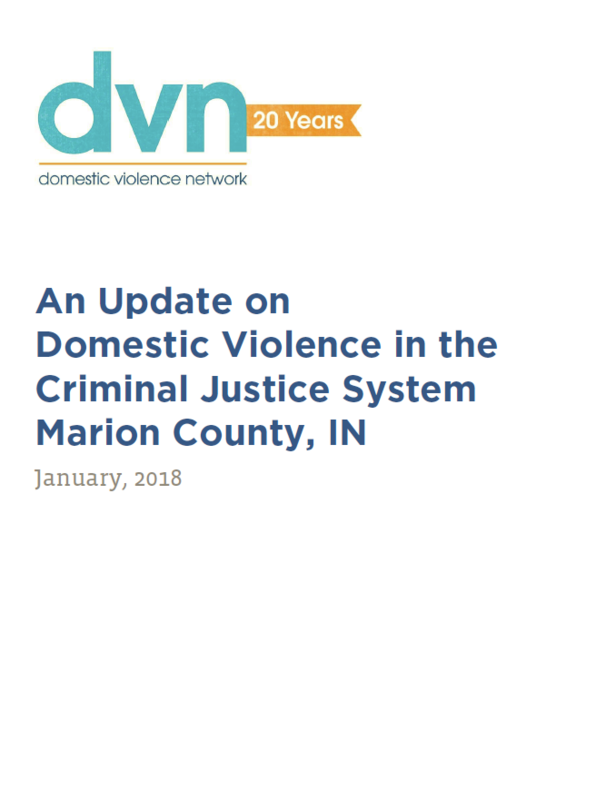 By combining data from different elements of the criminal justice system, we reveal basic statistics about domestic violence in Marion County. Reported domestic violence victims fell from 14,819 in 2009 to 10,797 in 2016, while the number of perpetrators rose slightly from 10,212 to 10,362. Five percent of Marion County residents between 20-34 years old have been involved in domestic violence cases, either as a victim or a suspect. 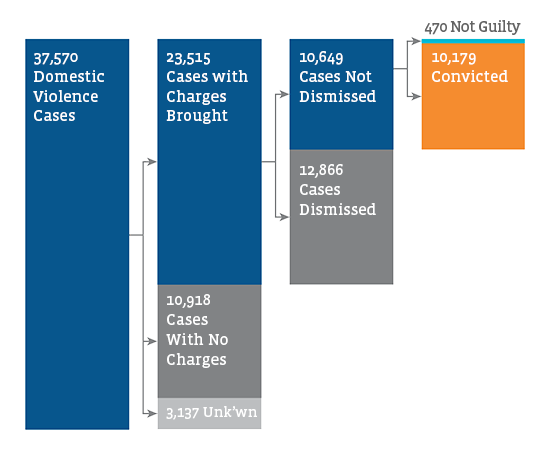 Of the 35,570 domestic violence cases the Marion County Prosecutors Office saw from 2009 and 2015, nearly 23,800 had no charges brought or were dismissed. Nearly 11,000 cases had charges dropped between 2009 and 2015, mostly because of insufficient evidence. One-third of dismissed charges were dismissed for reasons related to problems locating a victim/witness or getting a victim/witness to testify.